As a premium bridge camera, the image quality of the RX10 will be the defining factor when considering a purchase. The 20.2-million-pixel sensor is the same as that used in the RX100 II, and image quality is again excellent from the RX10 with its f/2.8 Carl Zeiss lens. Our resolution chart images show that at ISO 100, the RX10 can resolve to around 28. With well-controlled noise levels and a high resolution, even at ISO 800 the camera reaches around 26. In fact, at ISO 6400 it reaches 24, which is very good for a sensor of this size and resolution. When pushed to the maximum sensitivity of ISO 12,800, resolution remains at 24, but it is clear that quite heavy luminance noise reduction has taken place, resulting in a softer image with less contrast. Those who shoot only JPEGs should stick to sensitivities below ISO 800 for best results, although images are acceptable up to ISO 6400. 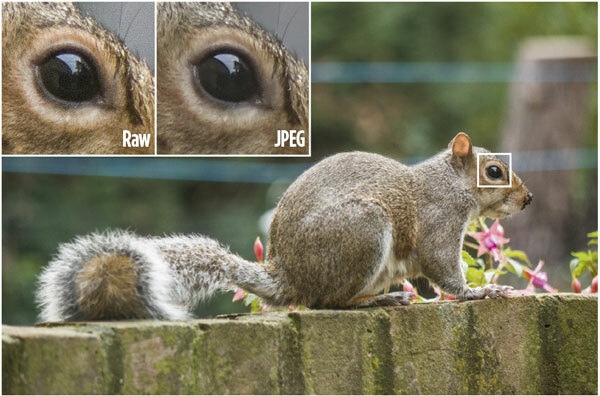 Raw files resolve roughly the same amount of detail as the JPEG images in our resolution chart test, although in real scenes the JPEG compression and localised luminance noise reduction and sharpening take their toll on JPEG images. Some areas with a slight texture are completely smoothed by the compression and noise reduction, while the sharpening of edges increases the effect of luminance noise. I found that the best results were achieved by shooting raw files at a sensitivity of less than ISO 400, reducing any slight colour noise and performing a little sharpening. Increasing the luminance noise reduction from 0 to 5 in Adobe Camera Raw does just enough to take the edge off the noise without sacrificing detail. These images show 72ppi (100% on a computer screen) sections of images of a resolution chart, captured using the 24-200mm equivalent lens set to 55mm setting and f/5.6 . We show the section of the resolution chart where the camera starts to fail to reproduce the lines separately. The higher the number visible in these images, the better the camera’s detail resolution is at the specified sensitivity setting.